Welcome to the Engineering New Zealand/Water NZ Rivers Group!  We are a technical interest group for people who are passionate about the successful management of river systems across New Zealand. Our members include engineers, geomorphologists, hydrologists, ecologists, scientists, planners, managers and others who want to work together to create and manage river systems that future generations can be proud of. This is an incredibly complex challenge that often involves balancing competing interests and demands to achieve outcomes that will have lasting effects that shape the way we live.The Rivers Group is in its tenth year and we are continuing to evolve to best deliver value to our members and the NZ rivers community. We are striving to deliver a mix of local workshops and networking opportunities along with our annual symposium which is a great opportunity for members and others to share stories about past successes and the challenges they are currently facing.I’d encourage you to get along to the local events and the annual symposium to meet others that share your passion of rivers and to contribute to shaping best practice in NZ river management. The Rivers Group was formed in 2009 to provide a forum for those involved with, and with an interest in rivers, flood risk management and the operational and environmental issues of catchments and river systems. The Group incorporates a wide variety of fields and of practice and interest to do with rivers, including cultural health, water quality, water quantity, flood management, energy generation and environment protection, as well as promoting a multi-disciplinary approach for river management, that reflects cultural and societal diversity in an integrated and holistic manner. To assist in the integration of the principles of the Treaty of Waitangi in best practice river management.